Stephen Lloyd, father, husband and master ceramicist, died suddenly of a cerebral edema of unknown cause on April 29, 2014. He was 46 years old, in the prime of his life, and at the apex of his career. He attended Beloit College in Wisconsin where he received a B.A. in studio art. It was at Beloit College that Steve met Becky Haley, a fellow ceramicist and the love of his life. 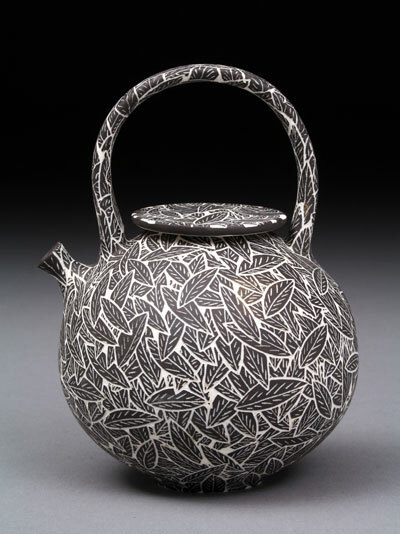 They married and as potters, Steve and Becky merged their considerable talents as ceramic artists to create the Lloyd Pottery hallmark style -- striking works in porcelain that were designed and thrown by Steve and carved by Becky using her intricate sgraffito technique.